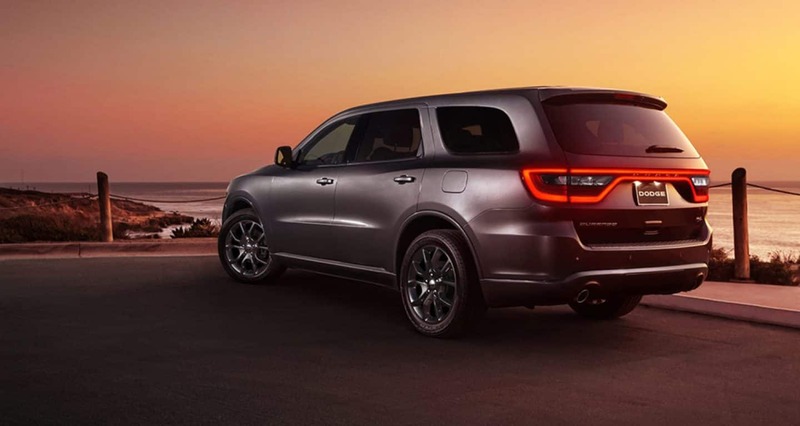 Familiar, powerful, and capable are just a few words used to describe the Dodge Durango. This same model has been a part of the car market since 2011, proving that it isn't necessary to redo a vehicle every model year to keep interest high. 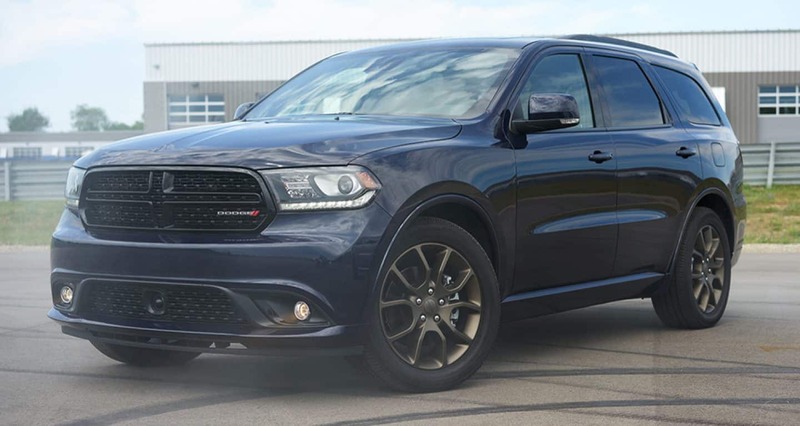 The Durango draws attention by coming with three-rows, offering the latest in technology, and keeping the Dodge tradition alive by offering the most powerful engines available in a crossover SUV. Speaking of powerful, new to 2018 is the Dodge Durango SRT. The SRT offers a V8 engine that can obtain up to 475 horsepower. That is plenty of horsepower to put a smile on anyone's face. Further updates to the 2018 model include a rearview camera that is standard with every model, along with Apple CarPlay and a 7-inch touchscreen interface. What powertrain options come with the Durango? 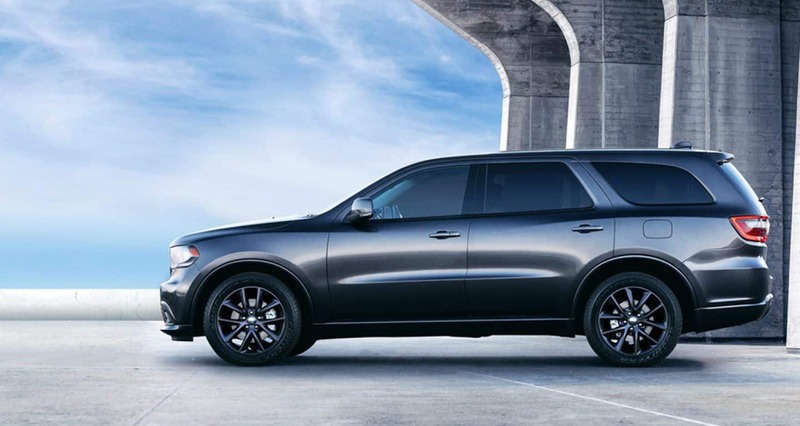 Three powertrain options are offered with the Dodge Durango. The first option is a 3.6-liter V6, creating 293 horsepower with a single exhaust, 295 hp with a dual exhaust, and 260 lb-ft of torque. Rear-wheel drive and all-wheel drive are options with this powertrain. The next powertrain is a 5.7-liter V8, generating 360 hp and 390 lb-ft of torque. The final powertrain option is the 6.4-liter V8, which produces 475 hp and 470 lb-ft of torque.The 5.7-liter V8 can tow up to 7,400 pounds. All of these engines work with an 8-speed automatic transmission. 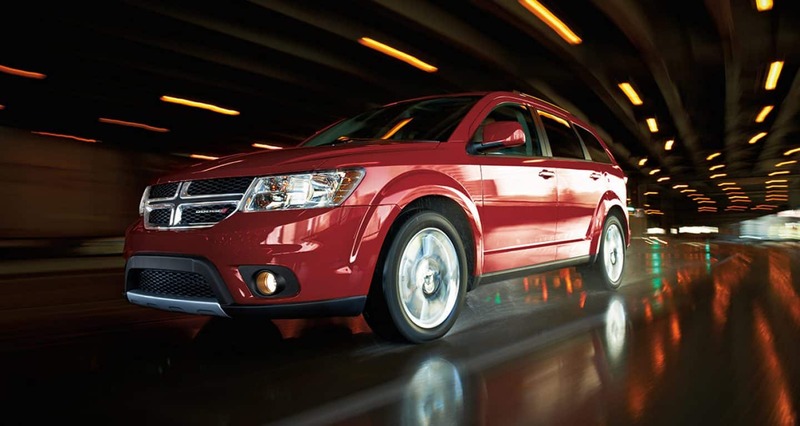 These powertrains show off the amount of power that can be produced from this crossover SUV. This is truly where Dodge vehicles shine, and this is a large part of the reason why no reimagining of the Durango has been necessary. This is a classic SUV, with legendary amounts of power. What are some safety features offered with the Durango? 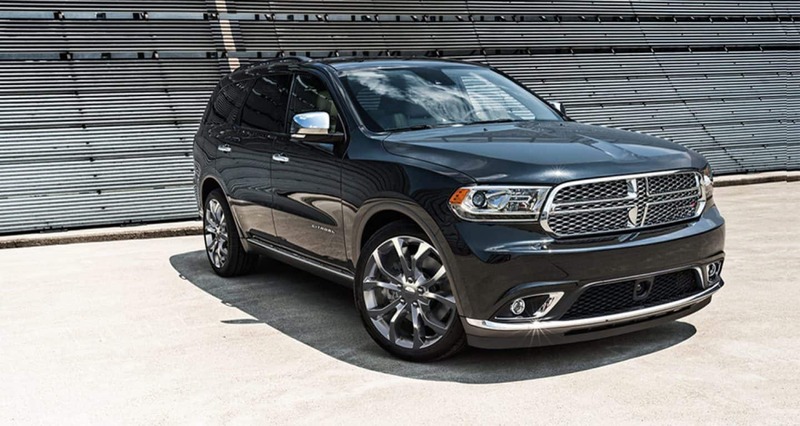 The 2018 Durango is like a bodyguard, providing you with plenty of security behind the wheel. Some features that stand out with the Durango include parking assistance, SiriusXM Guardian, adaptive cruise control with stop, a blind-spot monitoring system, electronic stability control, rain-sensing wipers, and all-speed traction control! What are the trim models offered with the Durango? This crossover SUV comes with five model options. 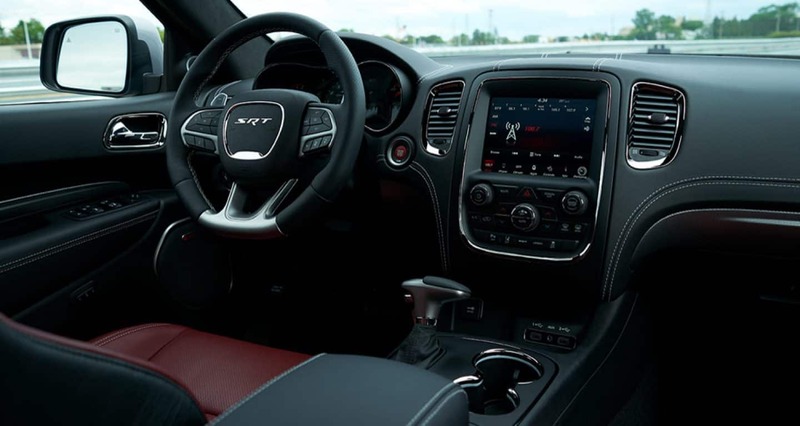 The first model offered is the Durango SXT, which includes features like three-zone climate control, 18-inch alloy wheels, a 7-inch touchscreen interface, a six-speaker sound system, keyless ignition and entry, a 50/50-split folding third-row seat with power-folding headrests, a load-leveling rear suspension, cloth upholstery, and Bluetooth. A mid-range option is the Dodge Durango Citadel. The Citadel comes with additional leather trim, front parking sensors, ventilated front seats, a sunroof, automatic wipers, a power-adjustable steering column, a nine-speaker audio system with a subwoofer, upgraded leather upholstery, an 8.4-inch Uconnect touchscreen interface, HD radio, and a power-adjustable passenger seat. 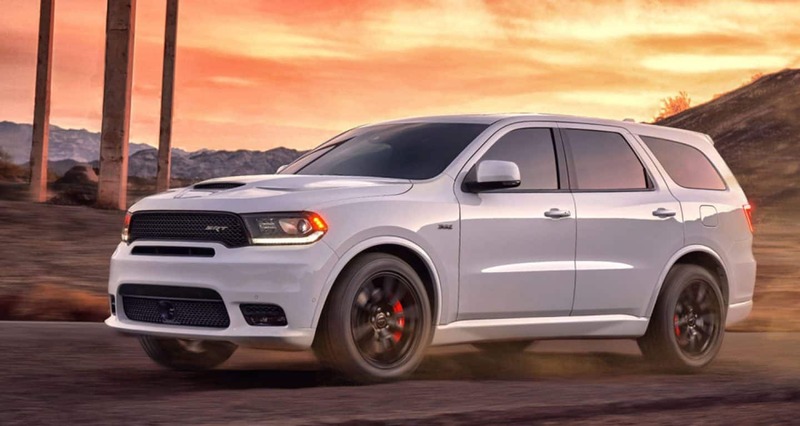 The Durango R/T focuses on performance, but also includes a Beats audio system, an upgraded steering system, LED fog lights, a sport-tuned suspension, a performance hood design, and red accent stitching. A few package options that you'll find with different trims include the Technology Group package, a Brass Monkey appearance package, and a Blacktop package. The Technology Group package comes with a forward collision warning system with automatic braking, adaptive cruise control, and lane keeping assist. Brass Monkey offers black headlamp bezels, extra body-color trim, and 20-inch bronze-painted wheels. The Blacktop package comes with black-painted wheels and other black exterior trim items. The 2018 Durango is a powerful crossover SUV that comes with three-rows, multiple powertrain options, and safety features that make this SUV feel more like a bodyguard than a vehicle! For more information on this powerhouse, give us a call today!